Opening the AAU season with the 2019 NY2LA Sports Swish N’ Dish Spring Warm-up was off and running in the Milwaukee area Friday night, with the upper age level games taking place primarily at Homestead High School (Mequon, WI). Players were surely raring to get back on the hardwood after strong high school seasons and looking to compete at high levels once again. Several players from different grassroots programs took to the courts and put together some stellar performances for their squads. 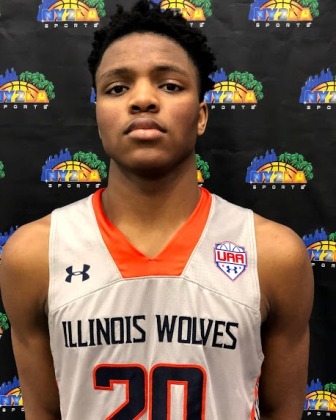 Catch some of the top performers and others who raised their play and should be ones to watch throughout the spring and summer, by reading the recap of Day 1. 6-3 – SCOTLANDVILLE MAGNET H.S. Beekman epitomized the point guard role in his opening night outing as he captained the Phenom group to a decisive victory. He handled the press, controlled the tempo of the game, found his teammates for open looks dialing up several dimes, and then wove his way through for a number of smooth looking baskets. He knocked down the three, he finished at the hoop and made plays in transition. Brakefield made a shining debut with the Phenoms, putting together a fantastic first game where he showcased his many talents on the court. He started off with a couple easy buckets inside off slashes, and then displayed his ability to drain outside shots as well, knocking down a nice looking three-point. Brakefield is long and was tough to get around defensively where he protected the hoop and disrupted opponent’s shots, and then was flying on the break finishing on the rim a few times with authority. Brown put his shooting prowess on display from the jump in a tough loss opening night. The talented guard was silky from beyond the arc where he drained several three’s and was able to keep his team in the game behind those three-pointers and his general scoring ability. Brookshire really captains the ship for his team with his play and is efficient in his work. He picked up where he left off last summer with a solid opening game, getting to the hoop and finishing with good control, burying shots from both the mid and long levels and was otherwise operating as a facilitator for his teammates, pushing the ball up the floor and getting his guys scoring opportunities. Hunter can fly, and he showed it Friday night in a big time victory to let everyone know they are going to be a force in the tournament. 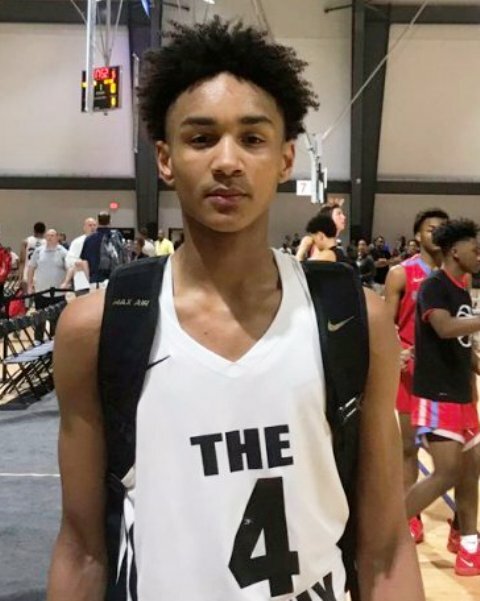 Hunter was feisty defensively and pulled out several steals where he converted those opportunities at the rim a few times or with balanced lay-ins through defenders. He also showed he can shoot the ball some, knocking down a few shots for his team. Johnson is always seemingly calm and collected, and showed it again in the Phenom’s opening day blowout. Johnson shelled out several assists, put himself in the right place for several rebounds, had a couple nice put back lay-ins in transition, and was able to sink some nice shots as well. Podzienski led his team to a really nice opening night win to open the tournament behind an excellent scoring game. He buried a number of triples and was able to score at different levels with good hustle and great control when attacking. Sanders showed out with his athletic abilities, playing above the rim most of the game Friday night as they pulled out a great win. Playing with energy and determination on defense, Sanders turned turnovers into points by flying up the floor and catching several lobs from teammates both contest and uncontested for the flush. He was exceptional on the break and cleaned up a few offensive rebound put backs as well. 6-5 – MARQUETTE UNIVERSITY H.S. Flynn played with a lot of energy, but still under control offensively. He was active on the defensive end and came up with a number of tough rebounds for his team. On offensive he found his spots and finished with craftiness and control. Hodges has a ton of potential and plays with good activity. He was constantly around the ball and defending the interior well, and then on offense he cleared space well around the blocks and was good off the catch. He finished with toughness and was active on the offensive glass as well. Polk is another lanky post prospect who played with really good energy for the The Family on Friday night. He was strong pulling down rebounds and flying around defensively, causing a lot of problems for the opponent. His length was tough to play around for the opponent, and he ran the floor well to put down a couple nice finishes at the rim. 6-7 – OSWEGO EAST H.S. Schultz played hard and was a physical presence inside for HIT in a hard-fought game opening night. He was hustling, got up the floor in transition and finished with balance and toughness around the basket. 6-5 – IRON MOUNTAIN H.S. Wonders was another key cog for the Phenom machine Friday night, playing both two age levels and making plays during both games. He showcased his inside-outside game by making plays going to the rim with good control and a nice touch around the basket, but also was knocking down outside shots. He’s definitely still rising and opening eyes with his well-rounded game.